Thursday got away from me 😦 Blame it on my pregnancy brain or my insatiable desire to clean right now. Either way, I’m late posting this amazing article by Beth Zinn. So sorry! Maybe instead of Thursday’s Thoughts we can call this Fantabulous Friday 🙂 Enjoy the first part of a series she has written on finding the beauty within. learn to play as an adult. Well, through a chain of events that included my husband getting sick and then eventually going home to be with the Lord in Sept 2011, I had to lay down that dream in order to care for my husband. 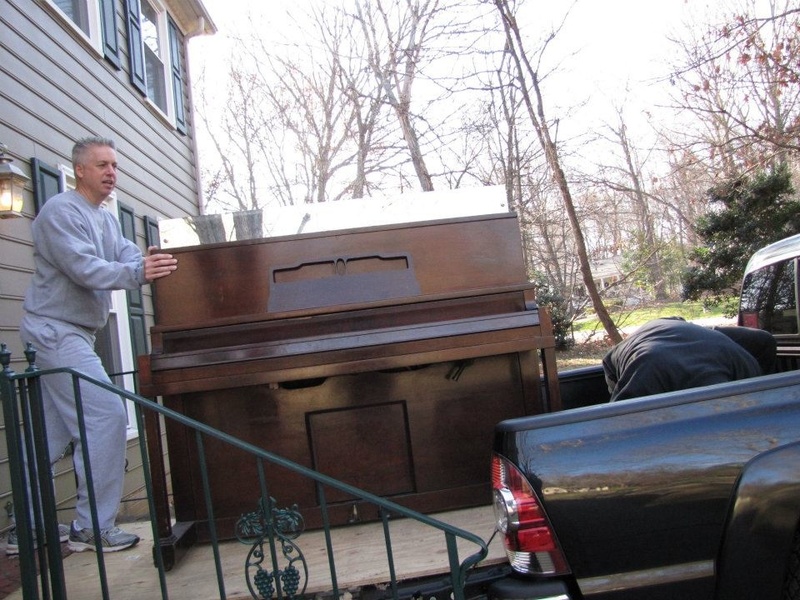 I also had a piano that I gave away when I moved from NC to TX after my husband’s death. So, not only did I stop playing the piano, I gave the one I had away. It seemed this dream was gone for good. There is a book called the “Dream Giver” by Bruce Wilkerson. It says that sometimes God gives you a dream and then asks you to lay it down. If the dream was truly from him, he will bring it back to you again and he will often restore it better than before. So the piano itself was what my dream looked like in the beginning. it was beat up and did not look pretty any more. My heart had completely laid the dream down. God wanted to restore the beauty of worship to my heart again and he wanted to restore a greater peace to my house. From the first moment I saw this piano I could see there was much more to it then you could see on the surface. It had a good sound to it even though it was grossly out of tune and had at least three keys that did not strike their notes anymore. There were several situations that moved my heart to start working on this piano. It started with a young lady who, for some reason, did not have all her hair. Though her outward appearance had been altered, she had a deep inner beauty. She also was a trained pianist. I don’t know why, but it was almost like she too could see more in the piano than most people could. She said to me that if I could find someone to fix it she would pay the cost to get it repaired. So that became the spark that lit the fire in me to search for the beauty within. It just so happened that the church I worked for had the piano technician call my office around the same time frame. So I made an appointment for him to come and tell me the news of just how much it would cost. I was braced for it to be expensive, but when he said $300.00 I was ready to get going. Just to tune a piano is a $150 so the price he was giving me was great! 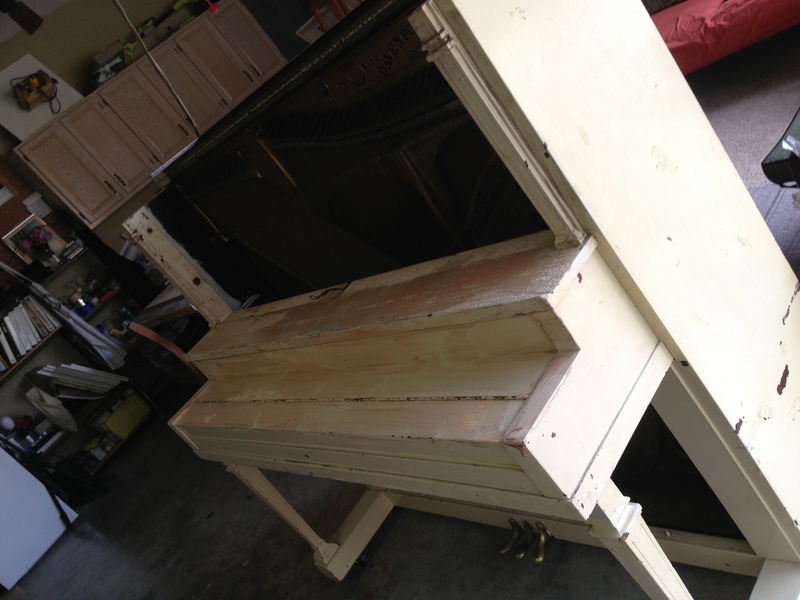 He took the inside of the piano to work on it and I began the work on the exterior. He would hold on to the inside parts while I worked to find this piano and maybe even my dream in the process. I did not realize just what God was beginning to work out in my heart. Sometimes in our walk with God it just takes someone seeing something beyond the surface and calling out what is within us to help us see the value in us. This piano is worth so much more now, yet before nobody cared for it. God places people in our lives that can see beyond our exterior, call out the good within us, and sometimes even invest in us to help us discover what beauty lies beneath. I invite you to Join me for a series of stories that will hopefully encourage you to look beyond the surface of who you are and Find the Beauty Within. 19 Jul	This entry was published on July 19, 2013 at 2:16 pm. It’s filed under Thursday's Thoughts and tagged devotionals for women, encouragement for women, furniture flip, furniture restoration, inner beauty, piano restoration, true beauty, WhoIsBeautiful. Bookmark the permalink. Follow any comments here with the RSS feed for this post.